I love Korean food like wow and love to share the obsession with my friends. This homely comfort food dish is warm and delicious, you can use just about any protein and vegetable combination but this is one of my favourites. You can buy Korean rice cakes (tteok 떡) at most Asian supermarkets, they store in the freezer for months so you can buy up and use them whenever you like. Do you have a "go to" place that you take your partner *all* the time? Junior's very quickly established itself as our regular date night haunt when we moved to NYC. 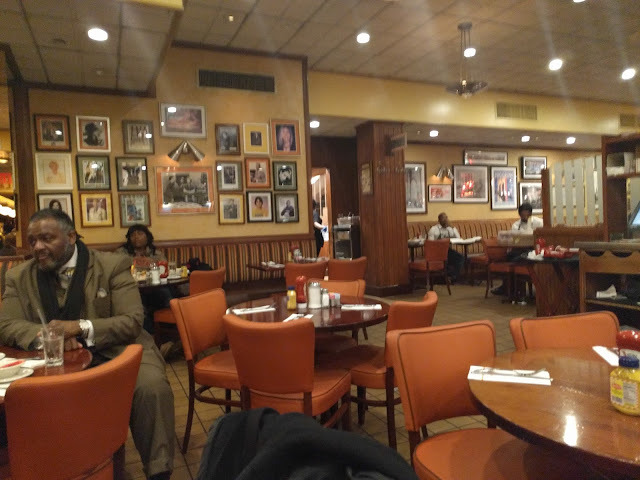 Junior's is everything I want in an iconic East Coast diner; good quality comfort food served just right. There's even quirky sitcom-esque regulars like the jovial middle aged preachers that meet there every Friday night dressed in brightly coloured 3 piece suits. Conveniently it is also right next door to the local Alamo Drafthouse, the only cinema chain worth going to in the US. 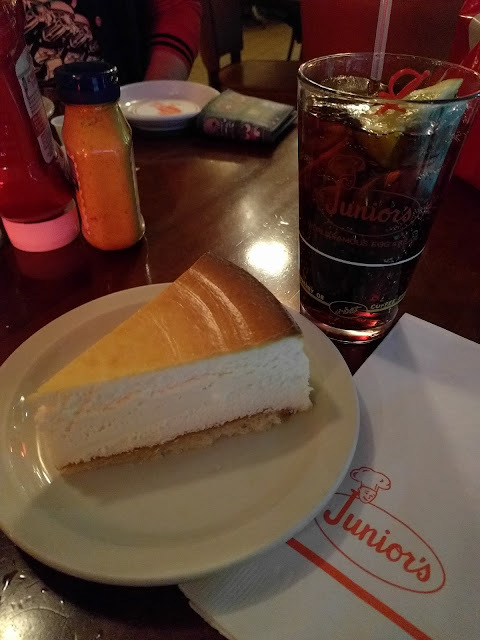 Junior's is famous for having (deservedly) the best cheesecake in New York. If you're looking for that iconic, creamy but light classic dessert this is the place for you to go. 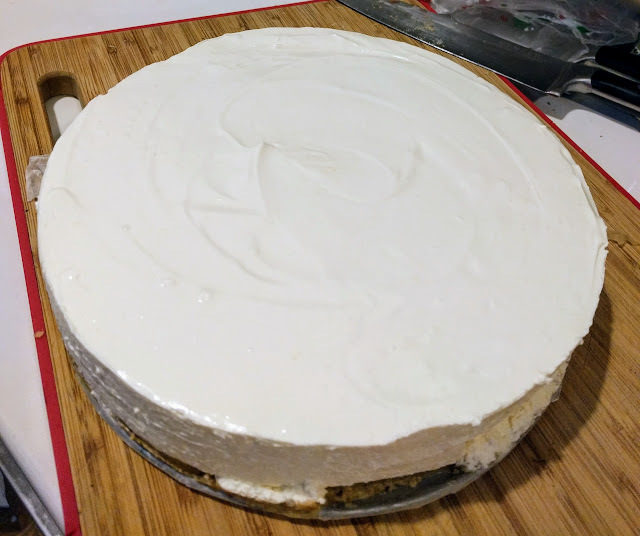 This is a cheesecake so good you can buy it mail order from the home shopping network. 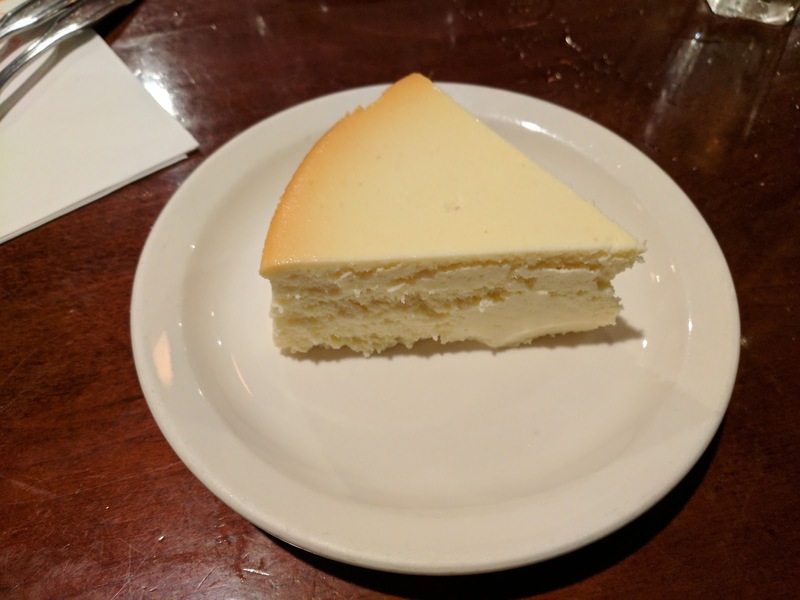 Be warned though the servings are huge, if you're in it for the cheesecake consider skipping the main meal. One has to assume that the Cheesecake Factory stole their format from Junior's. Huge platters of food, amazing cheesecake, friendly family atmosphere. It doesn't seem to be hurting them though, with two bustling restaurants one on Times Square and the original in Downtown Brooklyn. 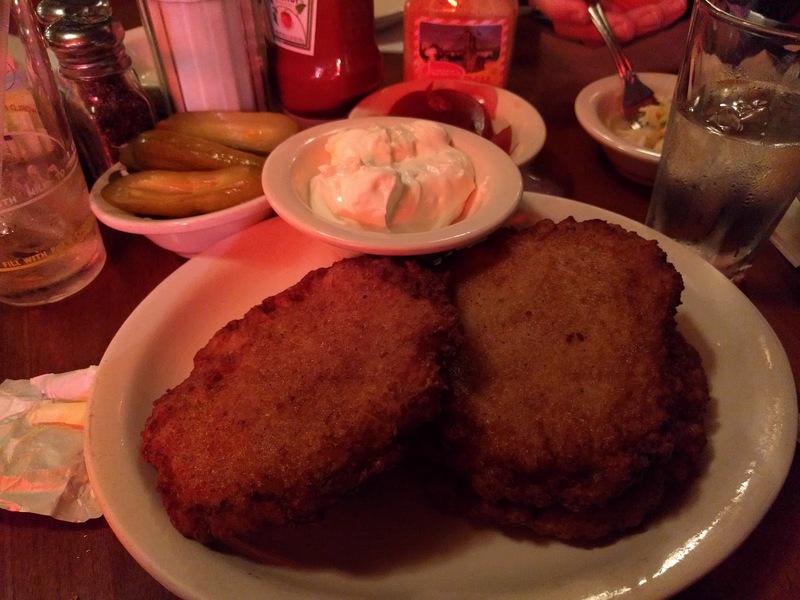 The large Jewish population in New York provides an endless array of pickles, deli food and delicious latkes. These potato pancakes are made with mashed rather than grated potato which is a shame but they are very generous and delicous. A classic thick handmade chuck burger cooked to your liking with American cheese and salad. 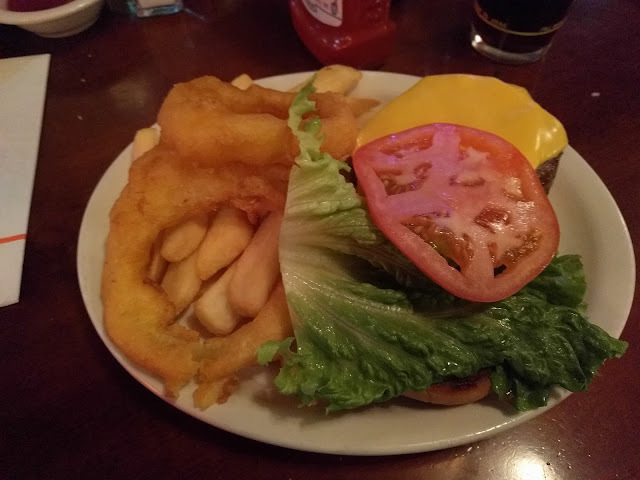 Served with your choice of fries or onion rings. Pickles and sauces on the side so you can mix to your pleasure. An American classic done just right. 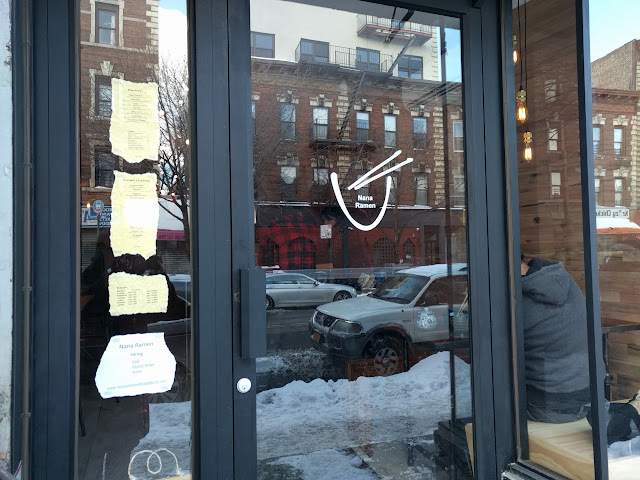 They offer a range of hot sandwiches like a brisket melt, cheesesteak and multiple kids of reubens that are all excellent with chewy bread and melt in your mouth meats. Deli sandwiches like pastrami, corned beef, ham and salami are also available with your choice of cheese and sides. When you're limited to gluten free or low carb food diners can seem like they offer only egg dishes. Not Junior's though! 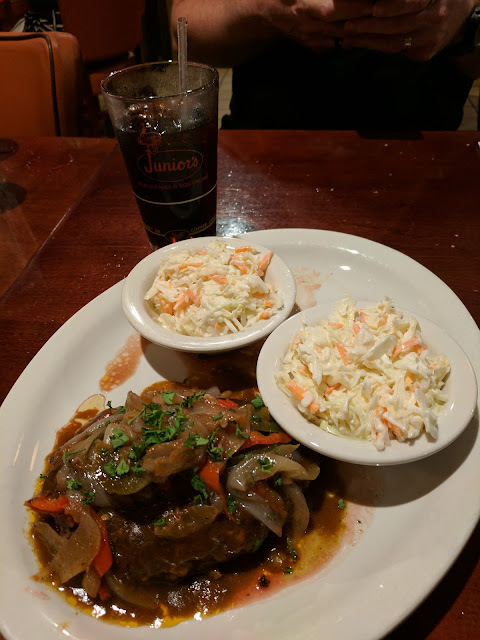 This chopped steak dish is a large formed meat patty with gravy and peppers and onions; in Japan they call this dish Salisbury Steak and I've always been a huge fan. This one is moist and the gravy is delicious. By default it comes with mashed potatoes and more gravy. Perfect for the brutal New York winter this goulash is warm and hearty. 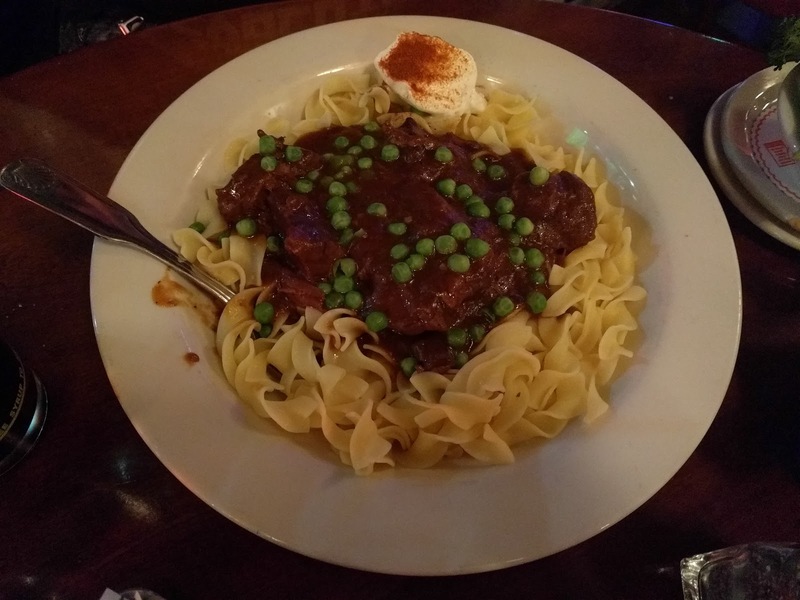 A little spice but not too much on buttered noodles with sour cream and peas. Roast turkey has always been one of my favourite dishes and I've always bucked against the idea that it should be just a holiday food. 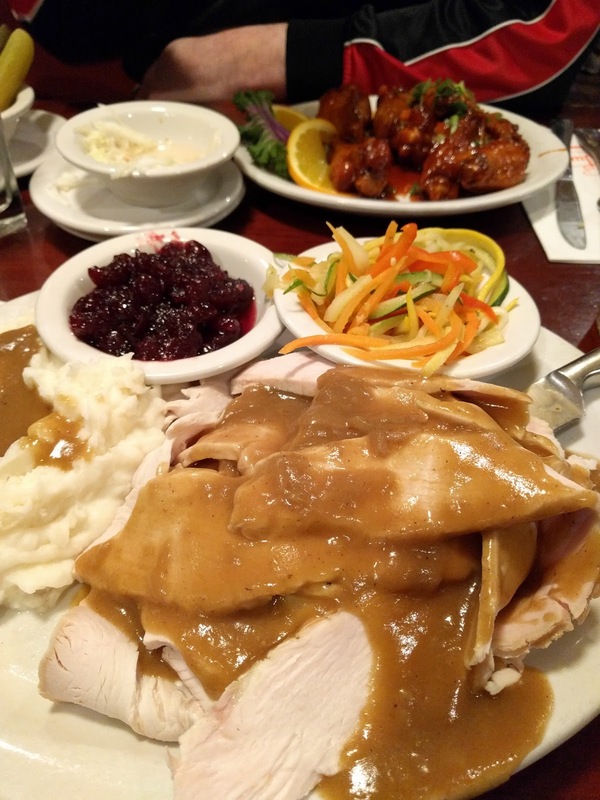 The roast turkey platter at Junior's fulfills all of my desires. Rich moist roast turkey, chestnut stuffing, gravy, mash, vegetables and cranberry sauce. Like a holiday in your mouth. They also offer the roast turkey and gravy on an open faced sandwich if you can't face an entire roast dinner with all the sides. In New York you see a lot of people claim they're the "best" of this or the "highest rated" of that but the Junior's New York Cheesecake is the best cheesecake in NYC. It's repeatedly rated this way and for a reason. Creamy, tangy, not too heavy, not too sweet, the classic recipe that others try to emulate. Worth every calorie. 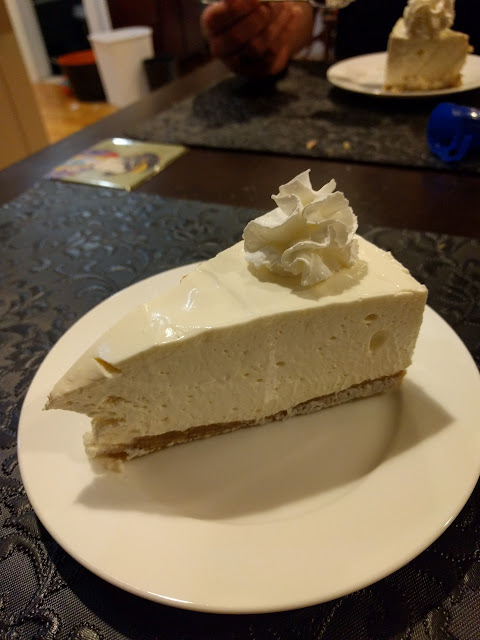 For those of us who watch our carbs or the diabetics the sugar free cheesecake is every bit as good as the original. 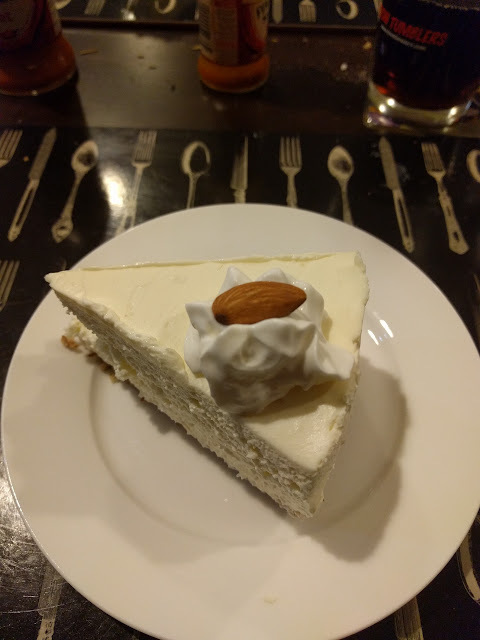 The cake is baked with sucralose (Splenda) and so lacks the browned top of the sugar filled version but has the same creamy texture and taste but with less calories, carbs and no biscuit base. This makes it a good gluten free option as well. They also offer a range of delicious pies including classic American apple, cherry and Lemon Meringue. All are excellent with thick gelatinous fruit fillings that aren't too sweet. Layered cakes like chocolate fudge, coconut, red velvet and carrot cake are also available. The portions are big here too though so think about skipping a main meal if you want a sweet treat. 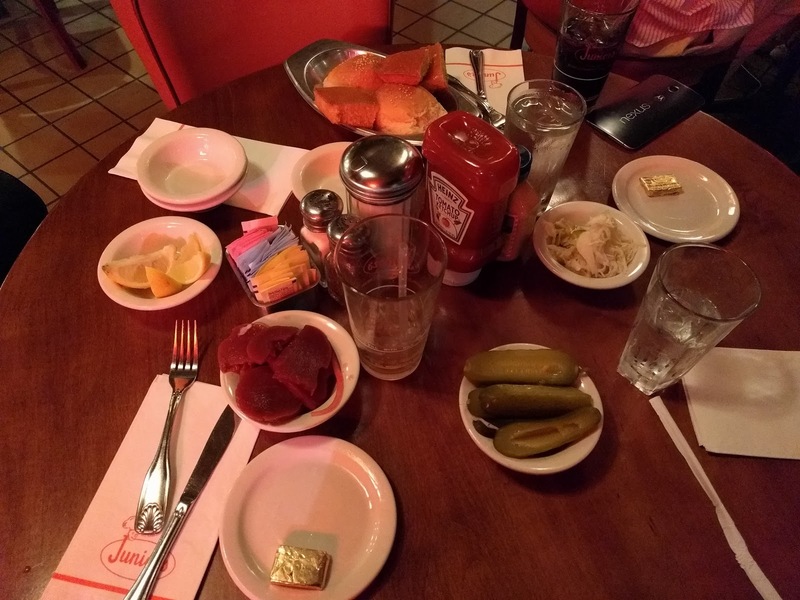 Junior's is one of those classic NYC establishments that has been doing thriving business for decades for a reason. Good food, good prices, friendly staff. After a long day of site seeing the continuous refills and giant plates of food are very welcome. Every dish we've had here has been good, you really can't go wrong. If you have fussy kids or a craving for something simple this is the place to go. One of the best things about moving to Brooklyn has to be affordable living space so that we could have a guest room. This has lead to a regular queue of visitors from Australia wanting to experience the delights of the US. What more do you want out of a trip to the US than BBQ? Hill Country has become our stable meat fest for visitors. The Brooklyn venue has live music on Friday and Saturday nights and is conveniently located steps from the Jay St Metrotech Subway. We mostly stick to the combination meal of "Cue and 2" which is 2 Meats and 2 sides for $23USD but there's plenty of add ons if you can stomach the load. 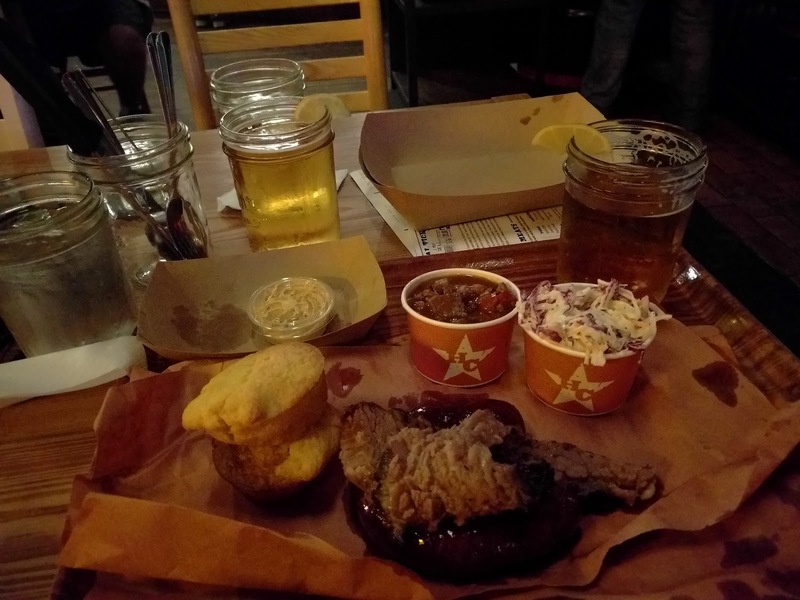 The 2 sides does not include the Cornbread which comes included with the meal deal and served with honey butter. You can get another meat for an extra $4USD but even my food loving husband can't finish it. In America baked beans are a BBQ food, which I find kind of weird coming from the Commonwealth, but it's delicious and includes chopped meat. Hmm. Notice the Brooklyn hipster Mason jars full of cheap beer. If you can't face a whole meal I recommend their chopped BBQ sandwiches for $10. 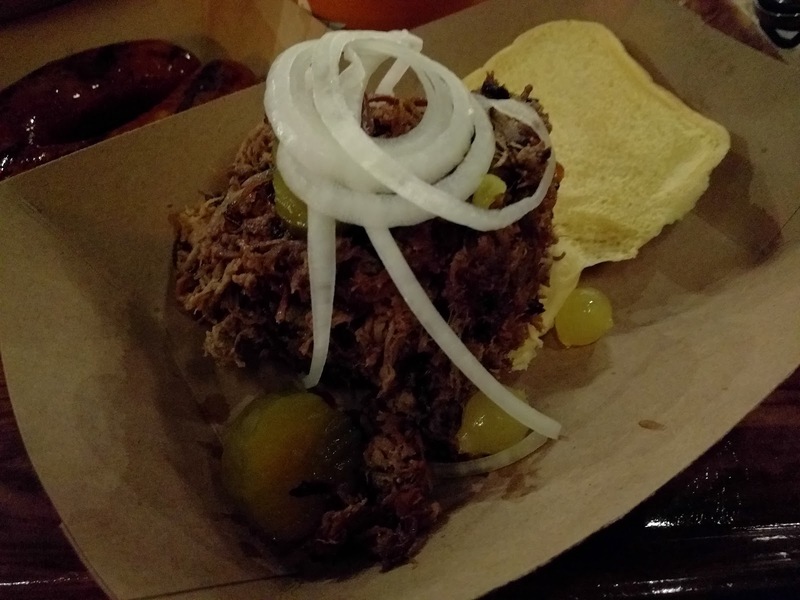 A smaller serve of meat with pickles, onions and a bun. No sides. I love the super casual Texas style eating here. Get a tray and see the meat man, he'll give you a card with a barcode for your order, work through the sides and drinks options like a cafeteria. Seat yourself and gorge. The music is great fun but it's also not jarring so you can easily have a conversation with guests and not worry about it. There's a casual bar and table service for drinks and you can even reserve a table for busy Friday nights using online services like Open Table. Highly recommended. 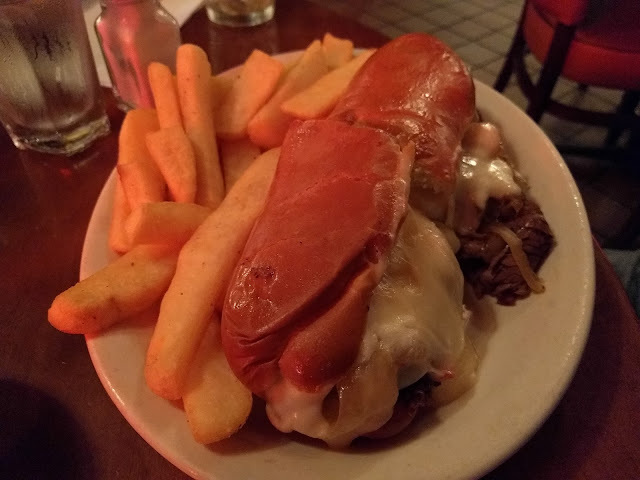 We spent Halloween in New Orleans and while many go simply to party at Voodoo Festival and Bourbon St I was there to try the famous creole food. I found a highly rated culinary history tour and boy did it pay off. All the food shown was included on the tour, drinks had to be purchased, but it was still a bargain. We started at Tujague's restaurant, the oldest restaurant in the city circa 1856 which still has the original bar back and old school charm. The hey day might be long gone but it's well worth a stop for a drink especially if you are waiting out the lines at Cafe du Monde. We were given a braised beef and hot sauce dish, a little dry for me but a pretty sizeable portion for a walking tour so I figured we were in for a good start! The tour guide Rose was a font of information and clearly a huge fan of New Orleans. She told us that she fell in love with the city and not only moved their for retirement but went to study it's history at college. This meant she had all sorts of pieces of knowledge about the founding of the city, each quarter, even the architecture of each building. We pottered around Jackson Square and she gave us a huge rundown on it's creation, the funding of the buildings and how each came to be residential and business. Today Jackson Square is still filled with artists and bohemians but the building is stocked to the brim with excellent restaurants plying morning after brunch food to die for. We were led into a Louisianna specialty shop filled with spices, Jambalaya mix and hot sauces and I thought this would be where we stopped but no! We were taken through into a secret courtyard where a small demonstration space was created. Many of their iconic items were on display and we were ready for our next bite. Red Beans and Rice seems to be a staple food of the area, eaten on it's own as a cheap dish or as a side for almost every other main one could think of. 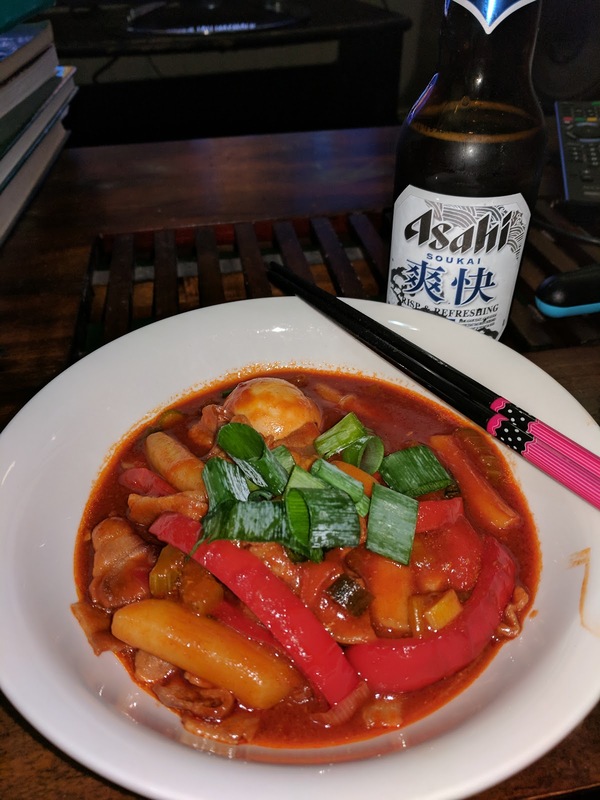 To appeal to a wider audience they started with a reasonably bland version but provided many of the seasonings and hot sauces to add to the dish so we dialed ours up a lot! My favourite had to be the Slap Ya Mama seasoning which was tasty but also gave a little nod to the laid back humour of New Orleans - which as an Aussie resonates well! Then we wandered through some of the alleys that run off Jackson Square, it seems like every building in New Orleans has a story. As an magnet for artists, pirates, thieves and plunderers there are plenty of stories to be told - many of them tall I'm sure. At Halloween though it's plenty of fun to be told stories of adventure regardless of their historical value. We heard stories of books written, sailors being "Shanghaiied" into service, society madams and more. Next it was off to Cafe la di Fina for some Italian treats; one of the delights of New Orleans is how ethnically mixed it is. French, Italian, British, American, Caribbean to name a few all blend in hedonous harmony and the food that comes out of it is truly excellent! This sandwich was a fusion panini muffaletta. For those uninitiated the muffaletta is a unique New Orleans dish of pressed ham, olive salad and cheese often in a hollowed out Sicilian style crisp bun. It is perfect hangover food and as an olive obsessive I am a fan. This panini version forwent the stacked ham and went for a lighter pressed sandwich.. Afterwards it was time for sweets! Nutella gelato, perfect in the muggy New Orleans weather. I'm a little suprised that more ice cream shops weren't around the city. Ricotta canoli, which happens to be my husband's favourite. Very happy. Afterwards we were off to the old dames of the New Orleans culinary tradition. Antoine's is a sprawling maze of connected buildings that make up one of the most famous restaurants in the area frequented by presidents and popes. It features no less than 14 dining rooms including a number of hidden private rooms for visiting celebrities. Even if you don't have Hollywood money to dine at Antoine's the front bar is well worth a stop for a soothing cocktail. It feels like something out of another era and is extremely affordable. You never know who you might meet! Antoine's is particularly famous for its above ground"cellar" a 25000 bottle monstrosity crammed in the alley between two of the buildings that make up the complex. As a wine buff it was a shame we weren't allowed to tour it but given the price tag of some of the wine and the temperature controls it's not surprising. Again we got fascinating stories of the fate of their wine during Hurricane Katrina when the majority of the wine store was lost due to power failure affecting the temperature control. Antoine's is slowly rebuilding it's collecting spending no less than $10,000 USD a week on high end wine. For extra fun we stopped in the "Mystery Room" a large secret dining room used for serving alcohol during prohibition including a secret entrance off the ladies room! Next we were off to the Rex Krewe room. Krewes are the private organisations that put on parades and balls for Mardi Gras season and the Rex group is one of the wealthiest and most fanciful. Memorabilia of Mardi Gras Kings and Queens line the room along with their bejewelled accessories. Fancy and very iconic! We got to trial some of Antoine's Gumbo but I'll admit without all the additional spices to add this was a little bland for me. With the addition of okra which I find slimey this wasn't for me and I didn't end up finishing it. Open courtyards and beer gardens are everywhere in New Orleans, much like they are from where I came from in Australia. Live music is everywhere along with cold beer and excellent drinking snacks. Afterwards it was off to Cafe Remoulade which has a jaunty family friendly vibe and a long oyster bar for those who want to try local shellfish. Shrimp and turtle soup are next. As a fan of Victoriana I was very intrigued by Turtle Soup and this is one of the easiest markets to buy it in due to the proliferation of the local Snapping Turtle. This version is quite similar to gumbo and has a rich gravy to it. Next we went past Leah's Pralines where I picked up some butter / nut delights to take home to my team at work. Southern style pralines are rather like peanut brittle but where enough butter has been added to give it a soft creamy texture almost like cookie icing. My only critique would be that the use of soft toffee and pecans lacks the snap of nut brittles I so enjoy. Nonetheless it makes a great gift for co-workers. Our last stop is Arnaud's where we tour a quaint English conservatory style dining room that reminds me of the old department store queens for ladies who lunch. We don't stop for food here but instead tour the Mardi Gras Museum upstairs in the restaurant which is a sight to be seen! The mseum contains Mardi Gras artifacts all accumulated by Germaine Wells, the daughter of the original Arnaud. She was an ambitious socialite who seems to have been indulged by her friends and community. Intent on winning the most Mardi Gras crowns she reigned over 22 annual Mardi Gras Balls. While the costumes are amazing and the collection is worth a stop the pictures get increasingly bizarre over time. From debutante teen to middle aged woman the costumes and makeup scene being age appropriate long into the display. Worth a stop though particularly if you're in town for Mardi Gras. All in all the the food tour was excellent and well worth the cost. Due to the enthusiastic guide and long itinerary we actually ran a little over time and you wouldn't want to put another event back to back with the tour just in case. There was a reasonable amount of walking but it was all slow paced and flat, people with mobility issues would easily be able to enjoy. Well it's been snowing up a serious storm in NYC this week so we were happy to hear the latest chapter in the Brooklyn gentrification odyssey is an authentic ramen restaurant in Bed Stuy. 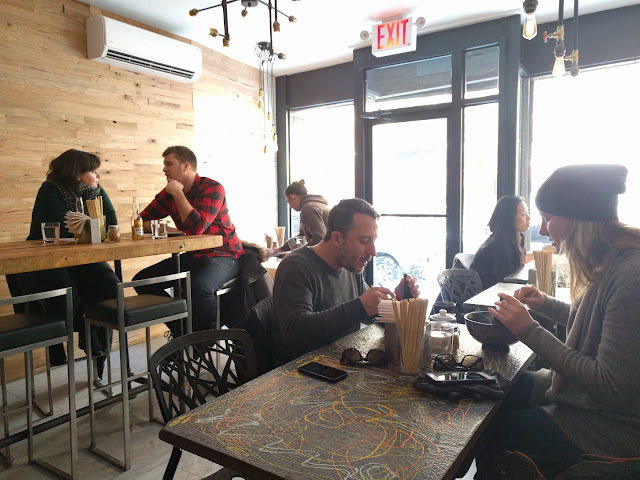 Nana Ramen lovingly blends authentic fresh noodles and tonkotsu broth with Brooklyn filament bulbs and hipster beards with great results and I'm pretty sure we'll be regulars from here on out. This is an excellent rendition of a ramen house staple. 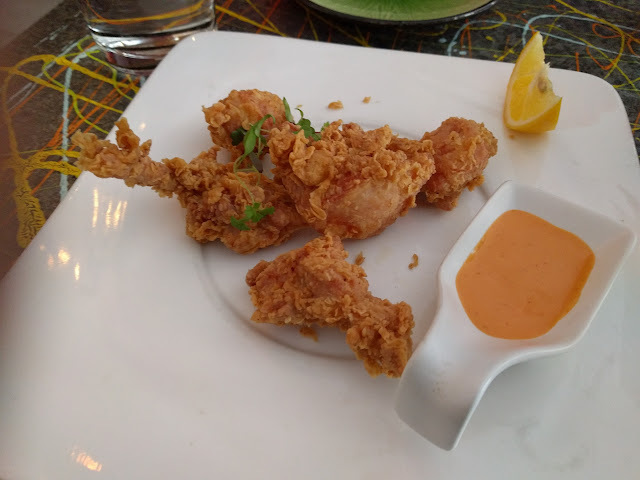 The chicken is juicy and the batter is light and lacks any trace of oil. The pieces are well sized to really maximise on the delicious sesame karaage batter as well. Served simply with a spicy mayo sauce and lemon slice. The serving size is actually a little larger than pictured, we couldn't help ourselves on arrival and ate two pieces before we remembered to take photos. 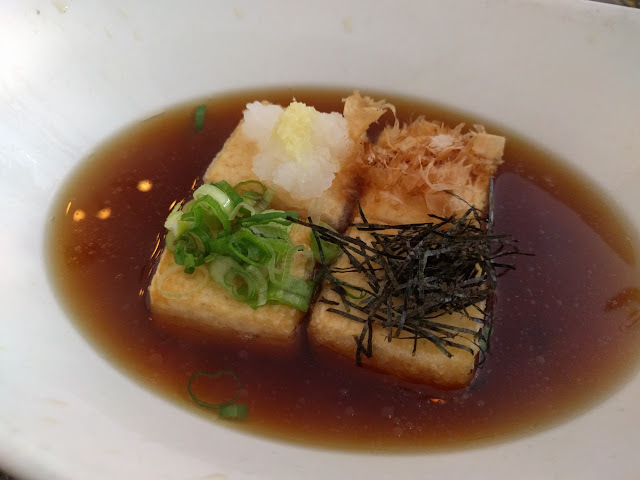 I really liked the presentation of 4 squares each with traditional agedashi toppings on them (ginger and daikon, scallions, seaweed and katsuoboshi), you could easily combine on a single piece if that was more to your style. The coating was light and the frying didn't make the dish too heavy, the real star though is the broth which is a fantastic sweet soy broth. My only wish is that this had been silken tofu rather than cotton tofu but well ... you can't have everything for $7 in the back streets of Brooklyn! 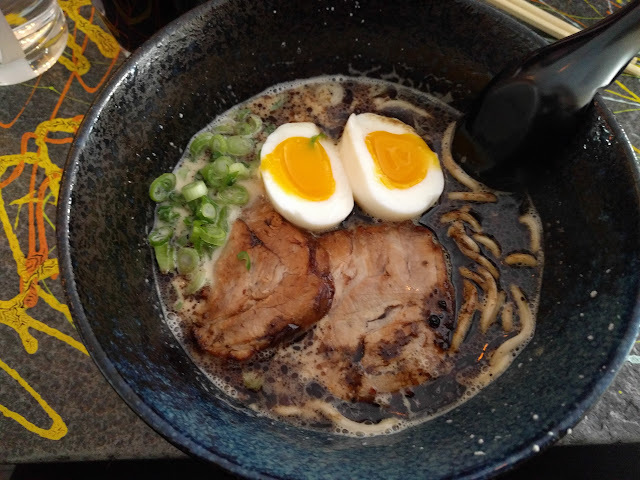 Built on a tonkotsu base with thinner style noodles this dish comes with egg, scallion corn and chashu pork. 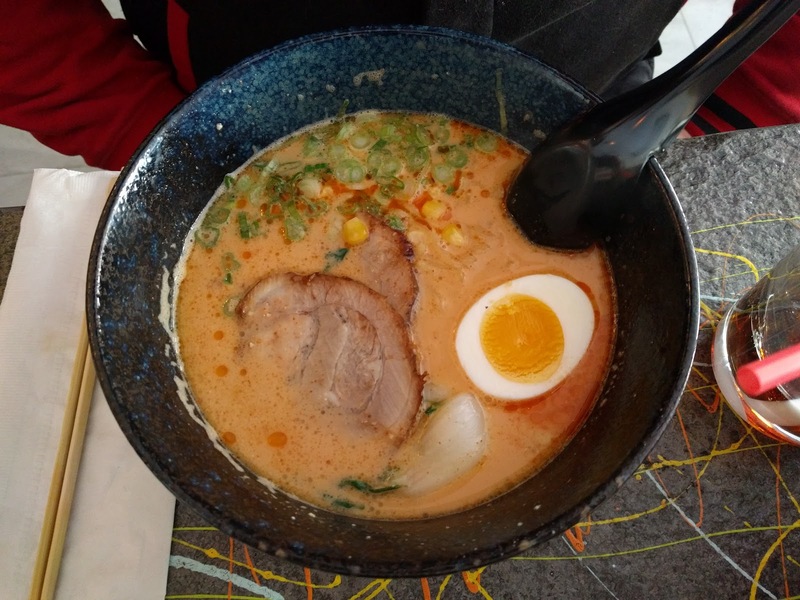 The spicy mix is interesting and deviates slightly from a traditional Japanese mix but is nonetheless delicious particularly with the creamy tonkotsu. The chashu is particularly excellent tightly rolled and well seasoned. Black garlic oil tonkotsu is an unusual ramen to appear on menus particularly in the US so I was very intrigued and boy did they deliver. Thick fresh chewy noodles are in a super creamy tonkotsu broth topped with a healthy splash of roasted garlic oil. I ordered mine with extra egg and fresh bamboo shoots. 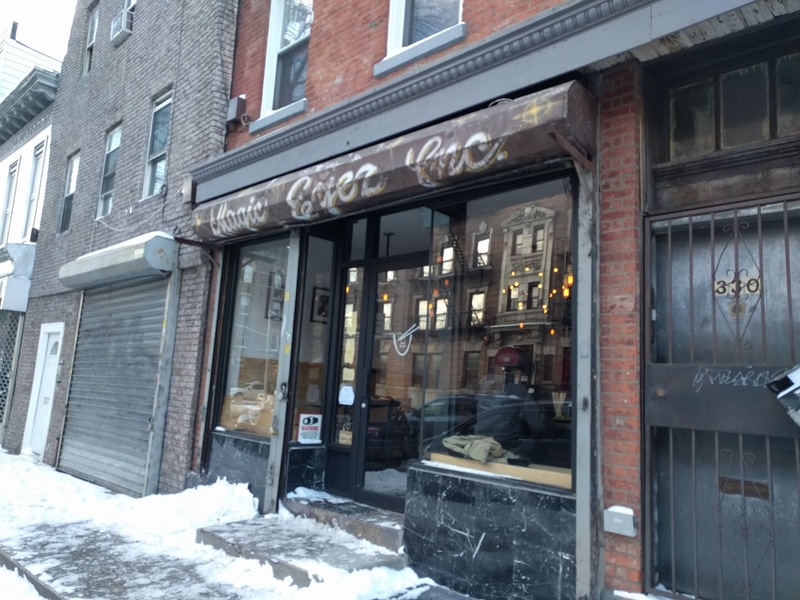 This was the perfect dose of warm soup belly in the NY winter weather. 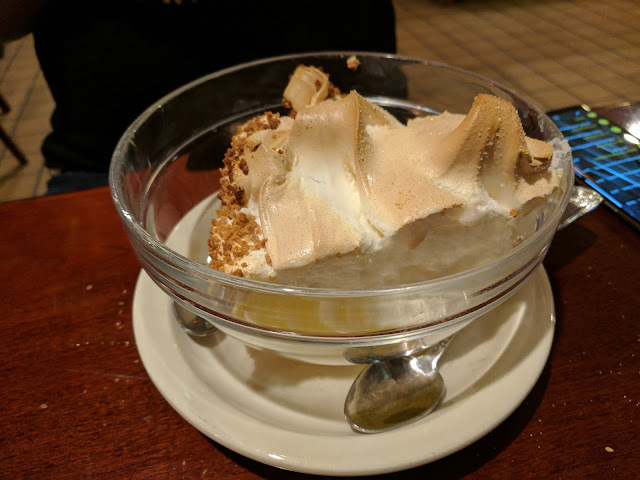 My only complaint is that the bowl could have used more soup, but since this is an option for ordering then I will just get a larger serving in the future. I'm super excited by the arrival of this business in walking distance of my house and will be definitely eating my way through the menu. They have a tan-tan-men which is my all time favourite and a curry ramen as well as a Tokyo style shoyu with tsukune that has me intrigued. For appetizers there are home made gyoza and takoyaki amongst others to explore. Like any new food business in Brooklyn Nana Ramen is currently being loved to death by the local hipsters so expect to wait for a while or go at unusual times. Our plan of going for a walk in the snow when most people were hiding inside paid off and we immediately got a table. Service is friendly but basic, cash only so stock up on the way.